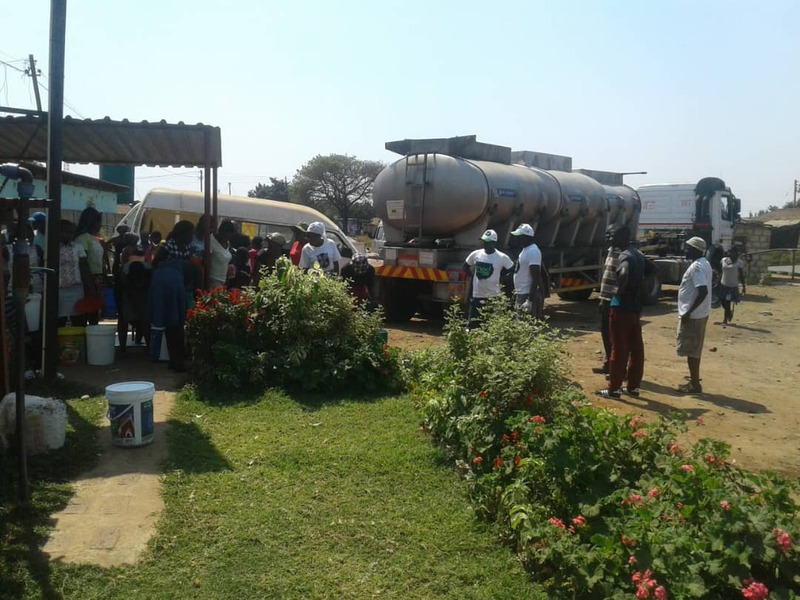 Local beverages producer, Delta Corporation has delivered 45,000 litres of clean water to cholera ravaged suburbs of Glen View and Budiriro as part of the company’s “MAKE A DIFFERENCE” (MAD) campaign. In a press statement released today, Delta said the initiative is expected to galvanize key stakeholders such as government and the City of Harare towards containing the spread of cholera. “This is in line with the company’s BETTER & BRIGHTER WORLD integrated sustainable development framework. A total of 45,000 litres of clean water were delivered for domestic use to the residence of Glen View and Budiriro during the weekend of 8-9 September 2018, which will continue with daily deliveries for one more week. “This small initiative is expected to galvanise key stakeholders such as Government, the City Council, fellow corporates and non-governmental agencies to mobilise resources to contain the spread of cholera,” said Delta. The company also assisted City of Harare in terms of refuse and solid waste collection that had accumulated in the affected areas. “In addition, to provision of clean water, the company availed a front-end loader to assist the City Council of Harare to remove refuse and solid waste that had accumulated in the area. “Most areas of the two suburbs were cleaned as part of the Company’s CLEANER WORLD thrust to manage solid waste in the environment,” added Delta. Cholera has so far claimed more than 16 lives with more than 2000 cases having been reported. Government has already declared the outbreak, a national disaster appealing for support from international organisations towards containing the spread of the waterborne disease.